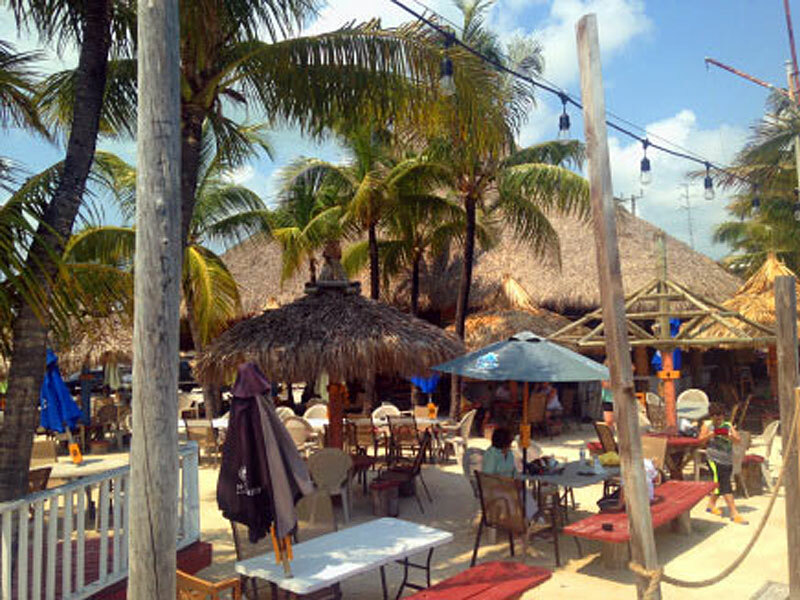 South Florida has become a strong film and music production location. 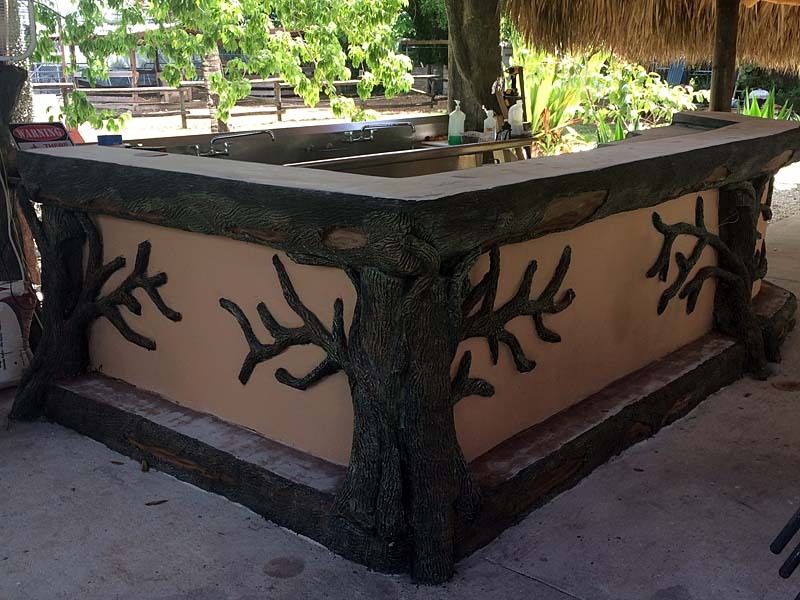 We build sets and scenery for themed environments, special events, film and television, and theatre productions. 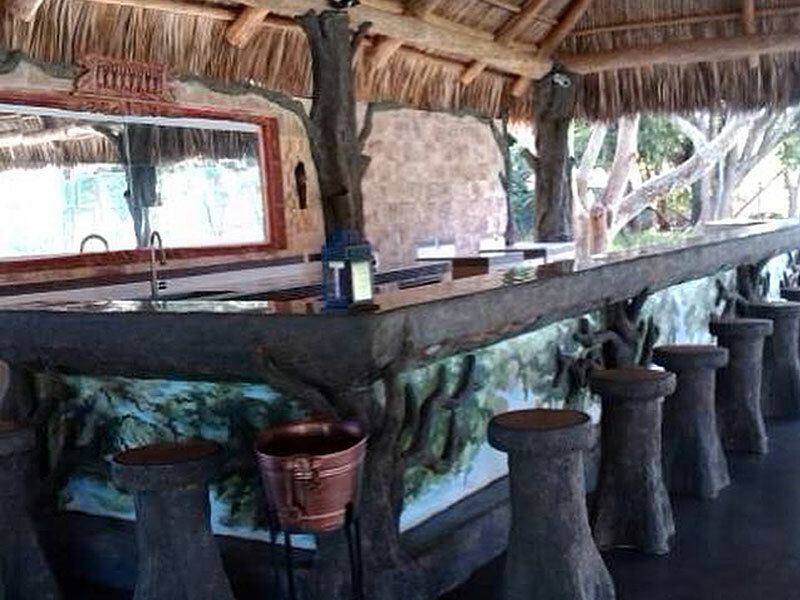 Because we have access to our own eco-friendly materials locally, we can come in and get your thatched themed environment built very quickly so you don’t waste valuable production time. 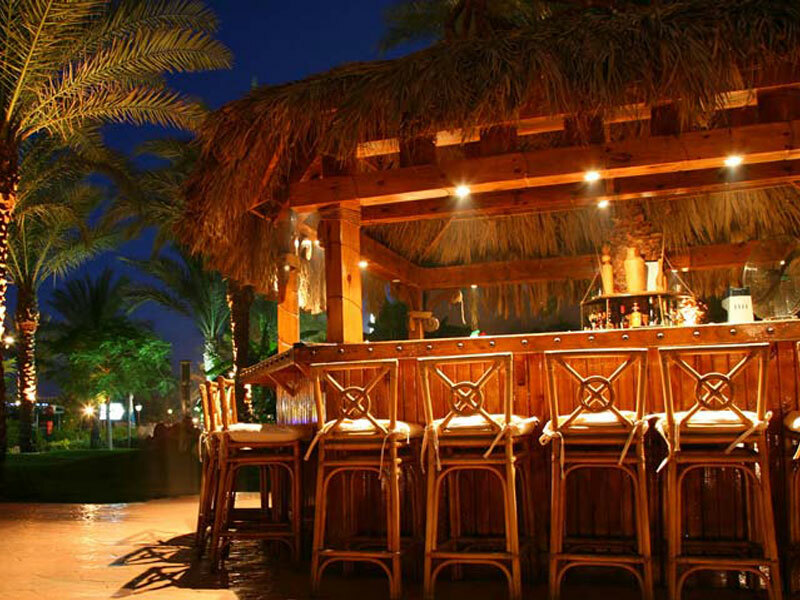 The commercial uses for authentic Tiki huts include hotels, restaurants, bars, and other public venues were a tropical theme is desired. 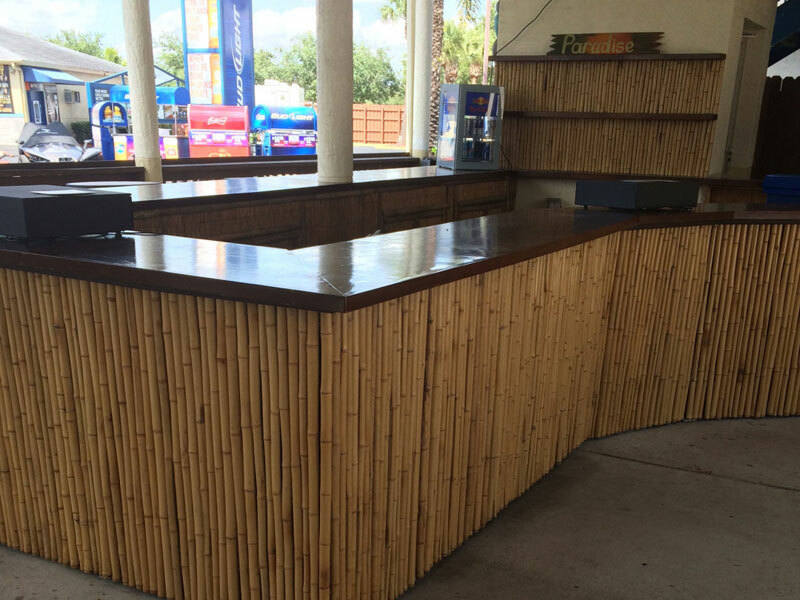 Commercial Tiki huts have been used to create outdoor theaters, temporary shade structures for public events, outdoor ticket booths and vendor areas. 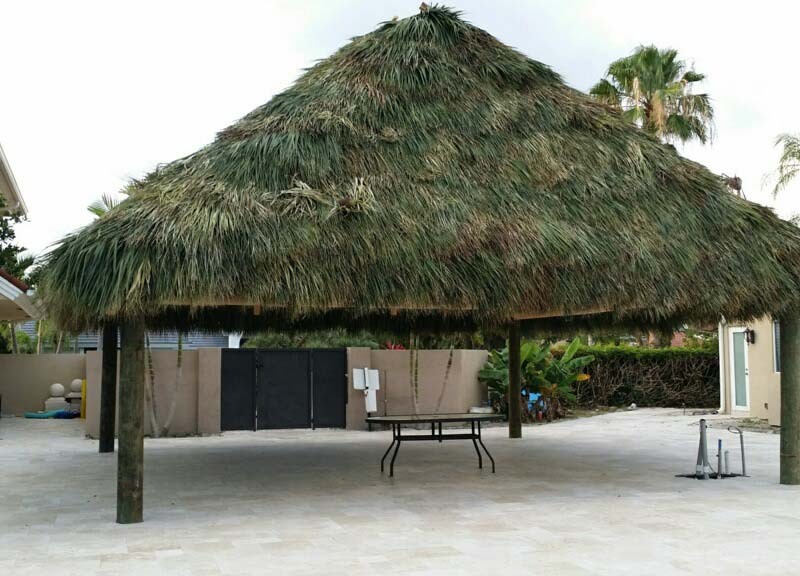 In fact, a commercial Tiki hut can be used in most situations where you need a permanent or temporary open-air structure that meet code requirements for safety, including the application of fire retardant products. 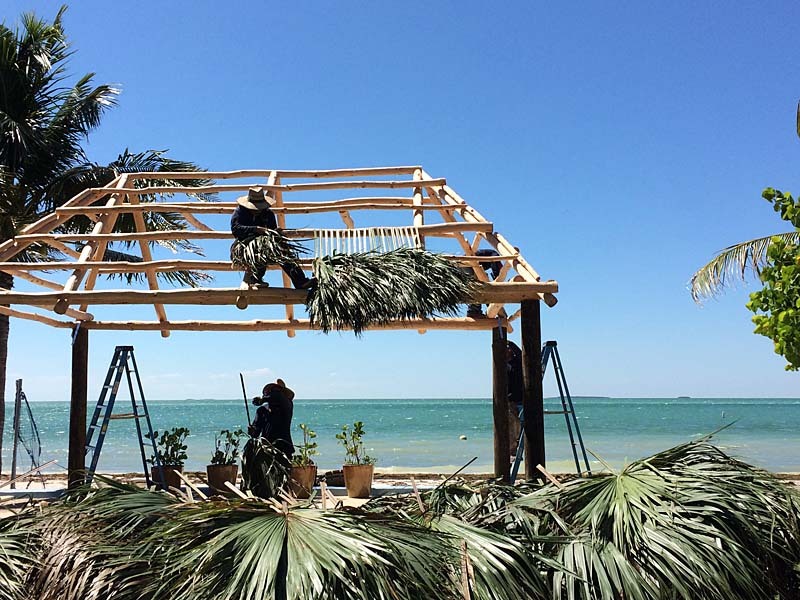 We have been bringing the lost art of Chikee hut construction to modern luxury residences since 2005. 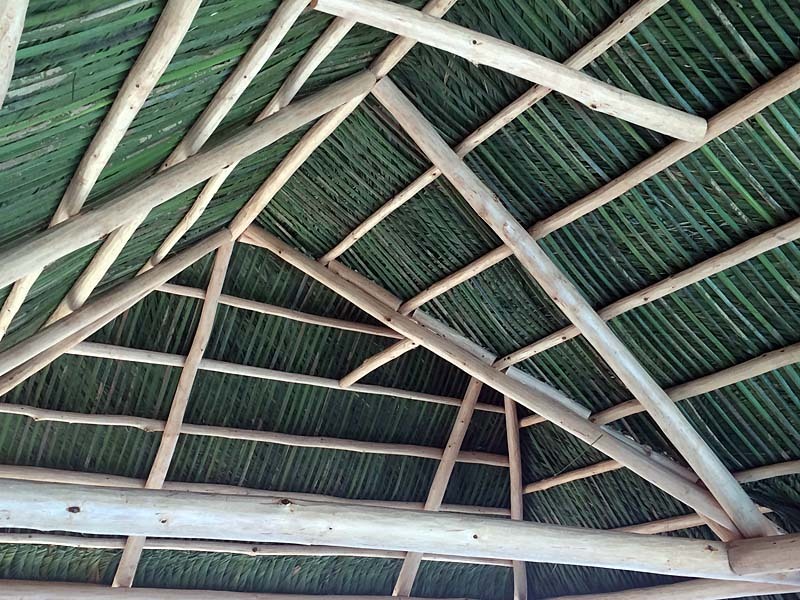 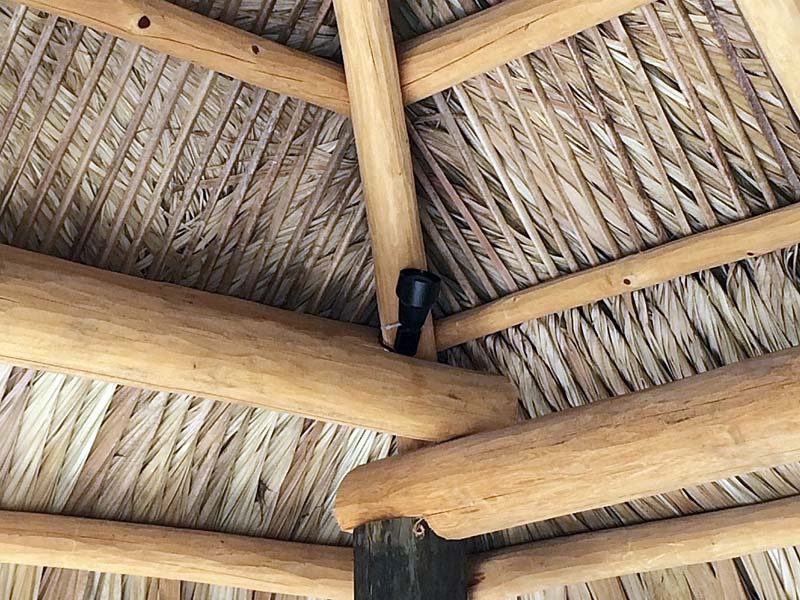 While we have been called to re-thatch or repair Tiki huts built by our competitors, we have never had to go back and repair one we built ourselves. 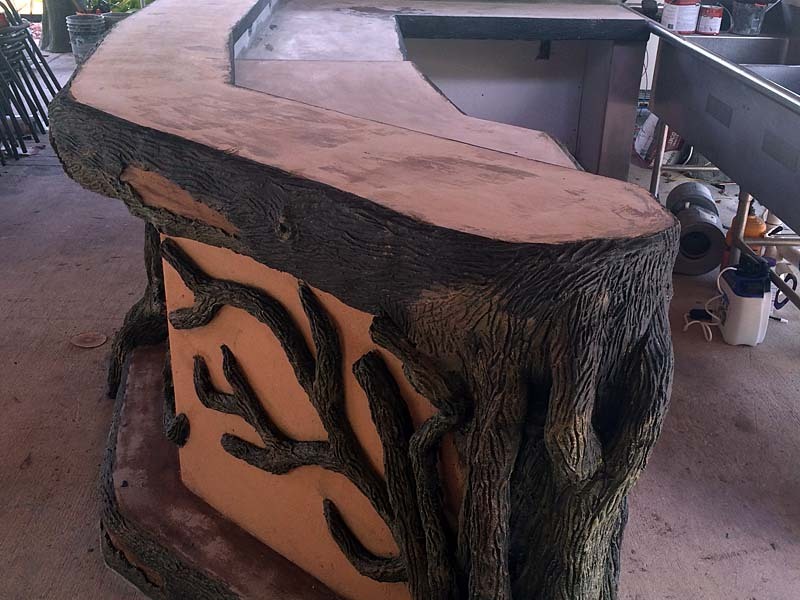 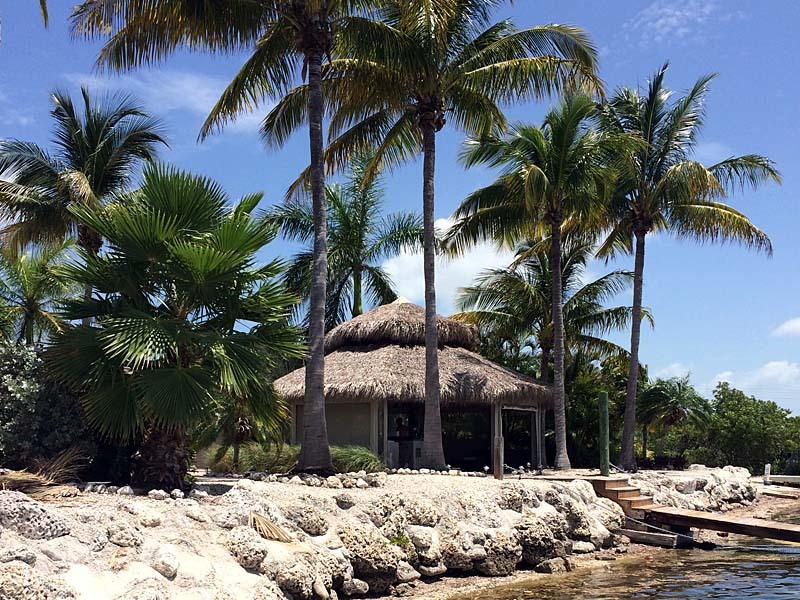 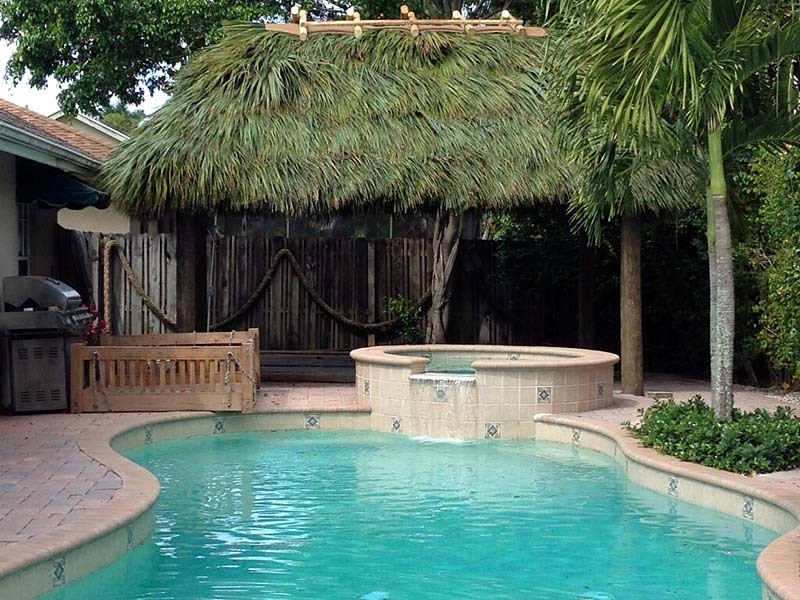 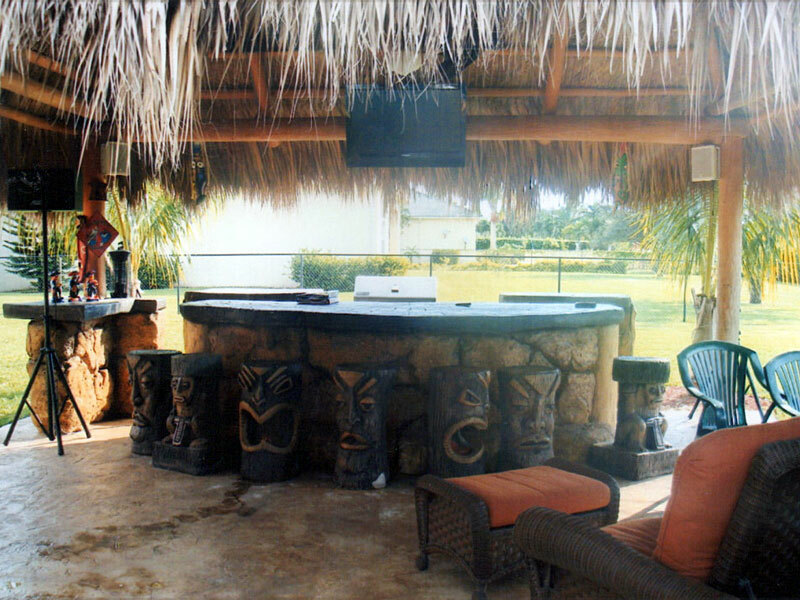 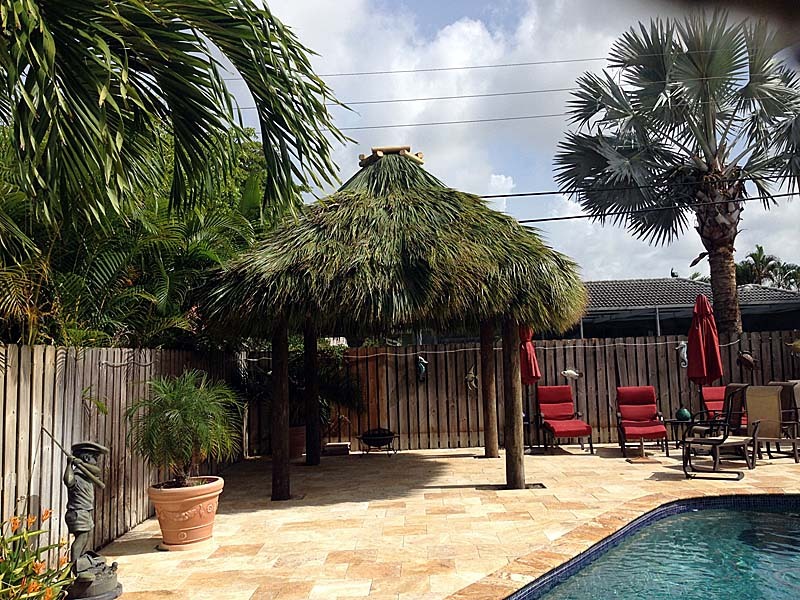 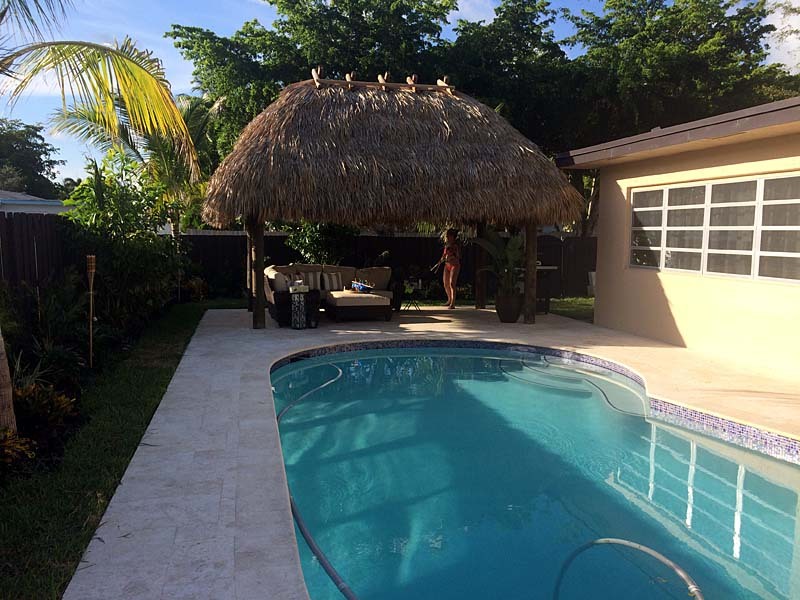 When you’re looking for a Tiki Hut in Key West, Key Largo, Miami, Fort Lauderdale, Palm Beach or Vero Beach that will last for years, contact Dan The Tiki Hut Man… I’m your man! 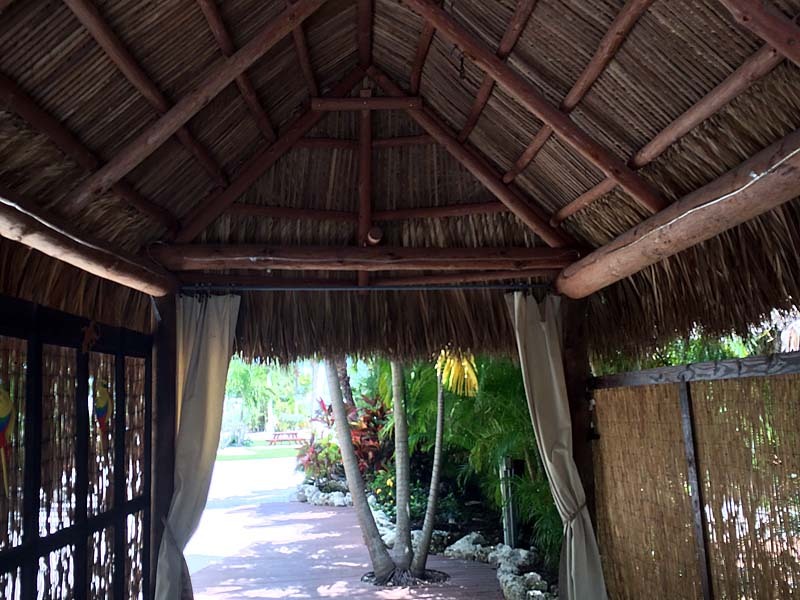 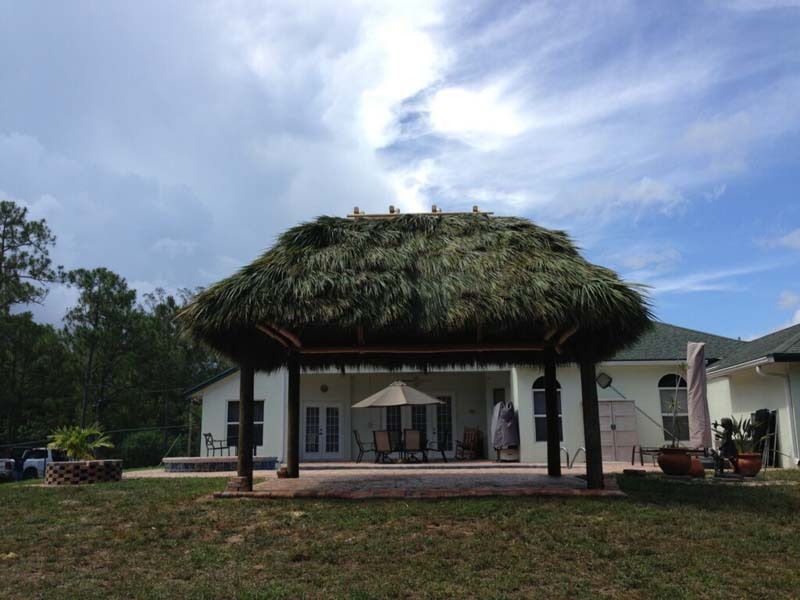 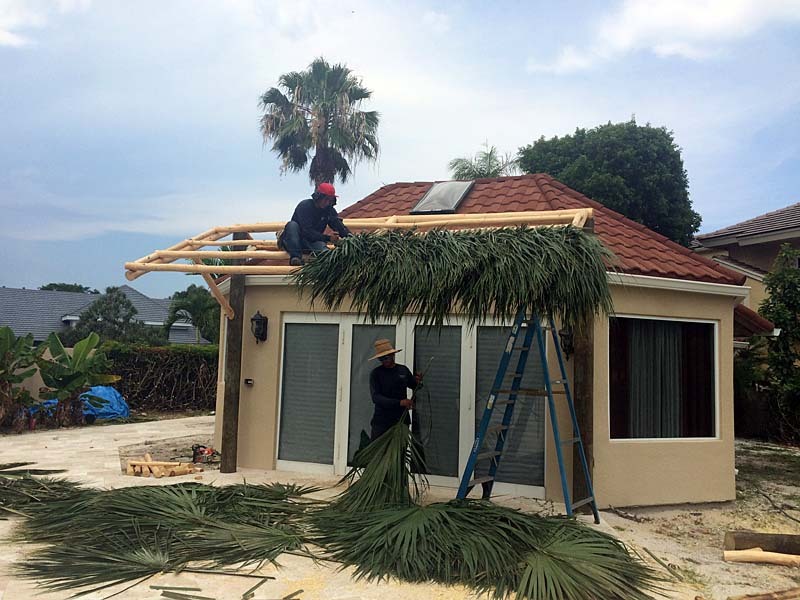 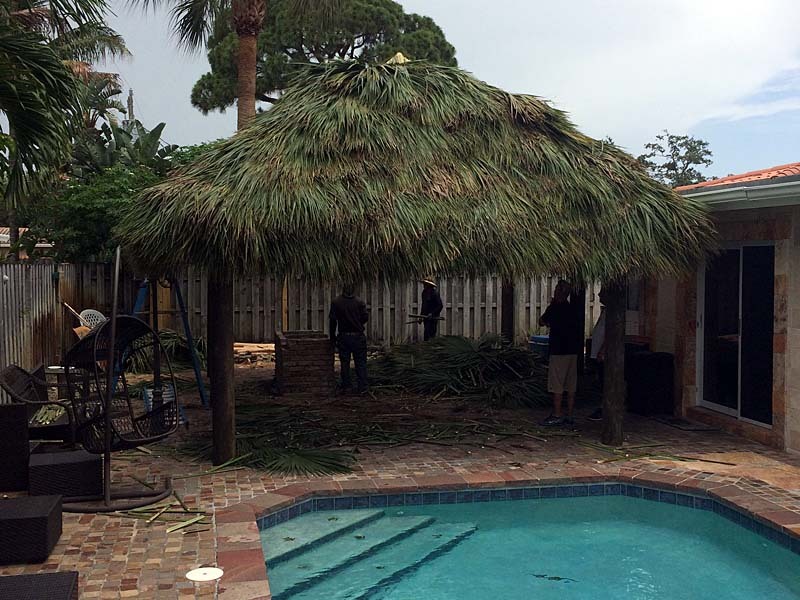 Tiki Hut Repairs, Rethatching, and Roofing.